My first pregnancy, I wanted all things savory; this pregnancy, it’s all about the sweet. Logically, I know that I can’t have dessert for dinner (at least not all the time…), so I’ve had to get my sweet fix in ways that are healthier and still, unfortunately, limited. High blood sugar = problematic pregnancy. Last night, I decided on waffles. My formula includes no sweetener added to the batter itself and I top them with pure maple syrup. This rich, gooey breakfast essential is packed with antioxidants, manganese, zinc, and calcium. In addition, for the tree huggers out there (pun intended), harvesting maple syrup does not harm the tree or negatively impact its natural lifespan. 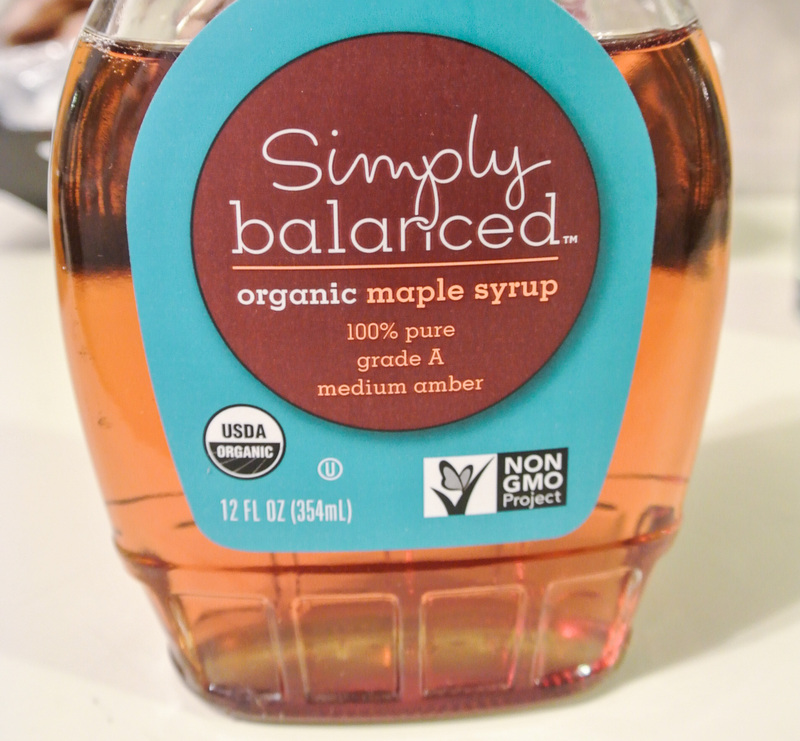 I love this brand of pure maple syrup, which is organic and GMO-free. Tonight’s waffles will be of the lemon poppy seed variety. 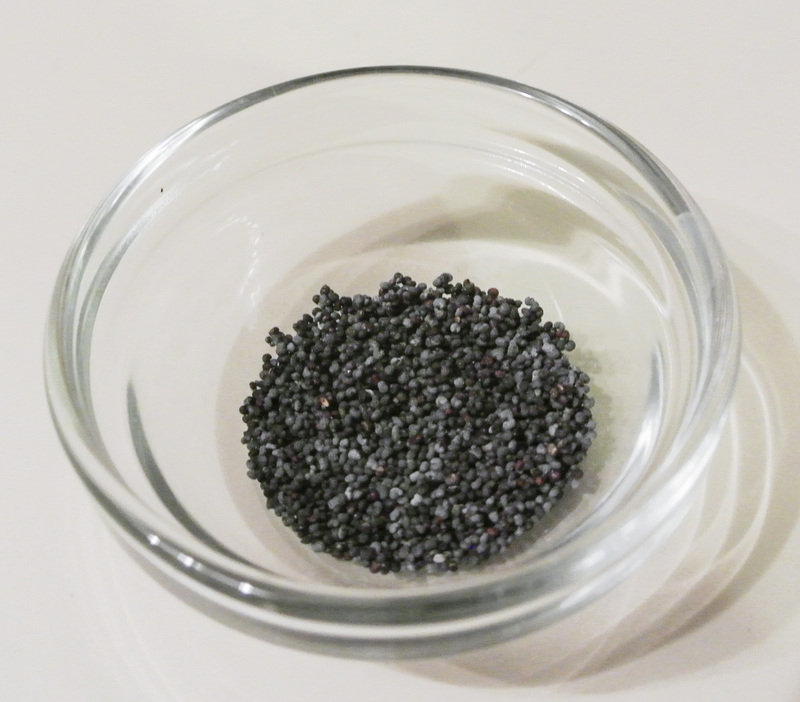 Poppy seeds are loaded with fiber and are good sources of calcium and copper. 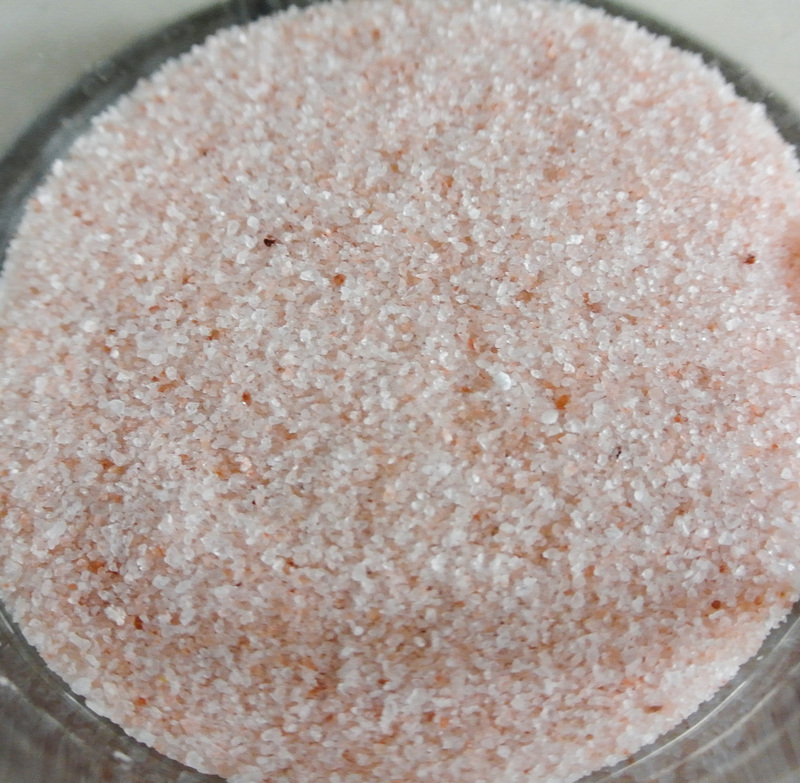 They are easy to add to smoothies, salad dressings, and baked goods. I often bake bread with poppy seeds and throw them into muffins and other breakfast items, too. I’m also including rolled oats (see my granola formula) and cornmeal in my batter for a variation in texture. 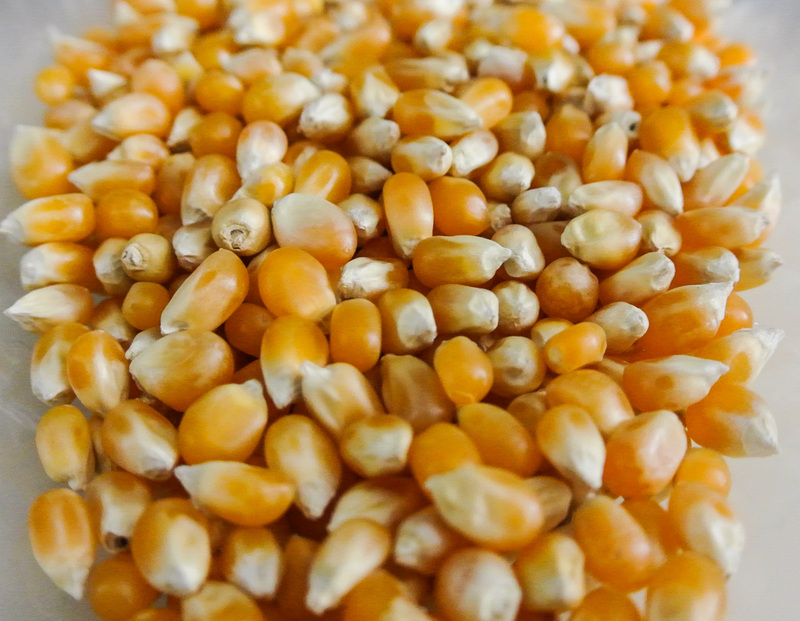 Cornmeal is an excellent source of protein and fiber and also contains substantial quantities of iron, zinc, and niacin. Too much cornmeal will leave your waffles/pancakes tasting gritty, but I always add a little to the batter. I also dust the bottom of my pizza crust to add texture and prevent sticking. 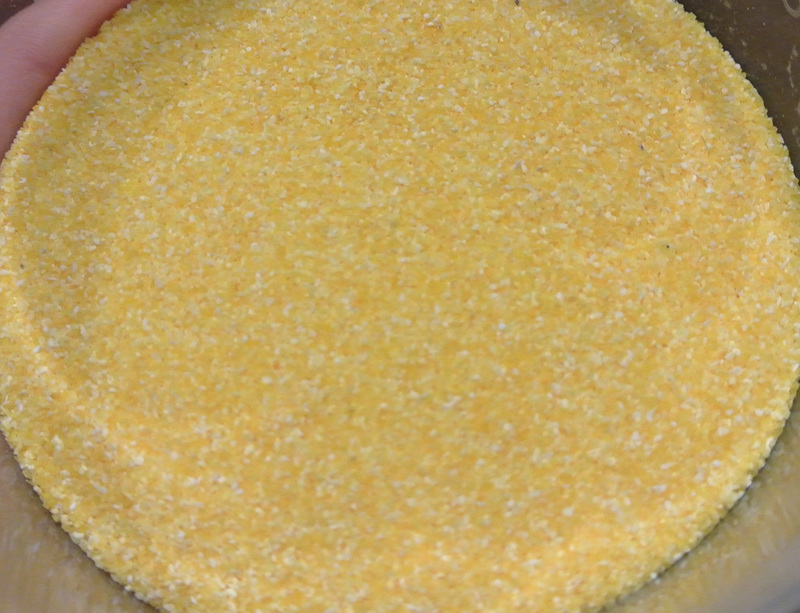 And of course, I use it in making cornbread (another post, another day). Who said a quick breakfast (or lunch, dinner, or snack!) can’t be delicious, flavorful, and special? I eat more raw plants than anything else—the ultimate fast food—but like many people, believe that variety is the spice of life! 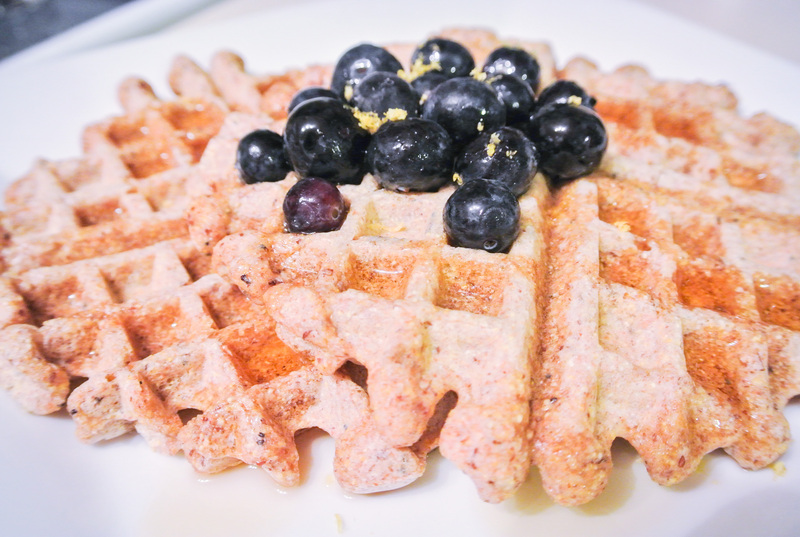 Believe it or not, I can make these waffles in less time than it takes me to peel and chop my favorite fruits and veggies for a salad. They are a guilt-free, healthy alternative to my typical diet. Additionally, this formula would be easy to double, triple, etc. for a big crowd. If you have some helping hands in the kitchen, you could feed a crowd in no time. Enjoy! ½ cup textured grain (i.e. quinoa, oats, cornmeal, etc. )* –> I’m using ¼ cup rolled oats and ¼ cup cornmeal. 1 ¼ cups unsweetened plant milk** –> I’m using almond. 2 tbsps oil (just 1 tbsp for pancakes) –> I’m using coconut. 1-2 tbsps citrus juice –> I’m using the juice of 1 small lemon (approximately 2 tbsps). This ingredient adds brightness, but won’t really add flavor unless you use the full amount and the zest. 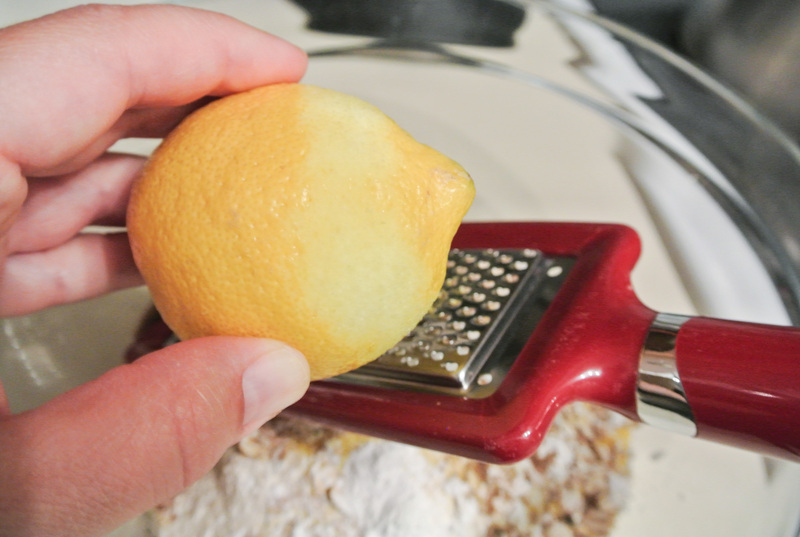 I want to taste the lemon, so I’m using the juice and zest of the whole fruit. EXTRAS (optional): raw seeds, nuts, fruit***, etc. –> I’m using ½ tsp poppy seeds. **Since pancakes take longer to make, you will want to keep extra milk nearby to thin the batter as necessary throughout cooking. ***I find that putting fruit into the batter causes a lot of sticking in my waffle maker; I use fruit to top waffles instead, but would put it directly into the batter to make pancakes. Preheat your waffle iron. If you are zesting citrus, be sure not to go past the top layer. The white pith underneath is bitter. Combine all ingredients with a whisk. Prepare waffles according to iron directions. 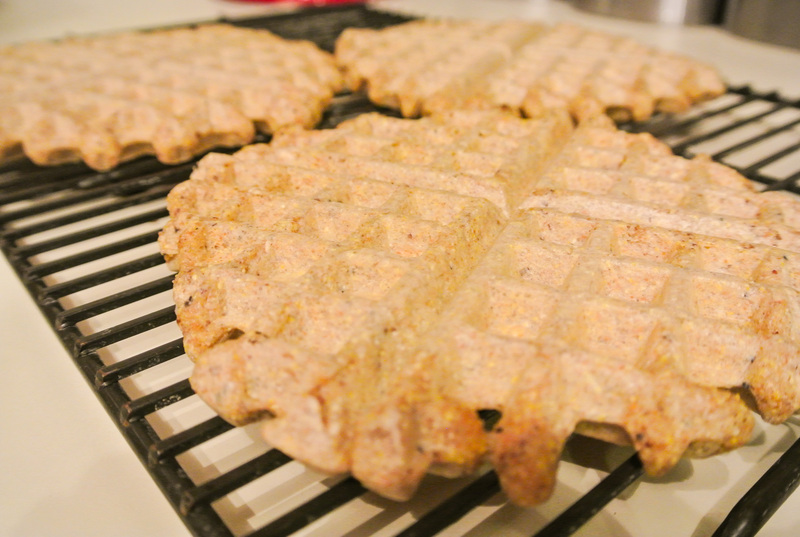 Place on a cooling rack to prevent sogginess on the bottom of the waffles if they won’t all be consumed immediately. Top with fresh fruit, raw nuts or seeds, maple syrup, etc. Leftovers keep well in the fridge, but will likely lose their crispiness. 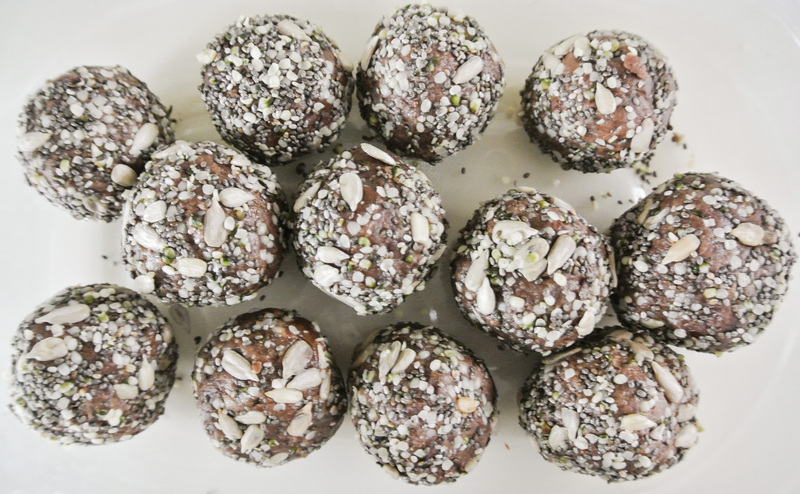 When it comes to natural sources of protein and energy, the health-conscious are turning to homemade bars, balls, and bites. From what I’ve seen, creators are calling on dried fruit, nuts, seeds, and grains to put them together. 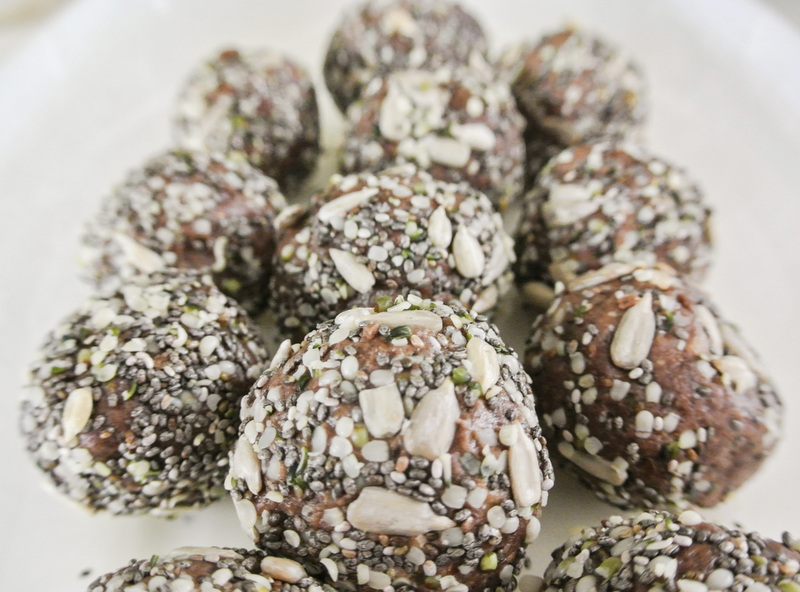 My power ball formula also includes a classic crowd pleaser, chocolate! I am not a fan of or advocate for protein powders or shakes. They are expensive, overly processed, and while some taste decent, many have a chalky aftertaste. I follow a blogger that is a dietician by day and athlete by night. She follows a mostly raw vegan diet, is totally opposed to powders and shakes, and is able to gain plenty of lean muscle mass (if that’s what you’re going for) using plant-based sources of protein and energy. 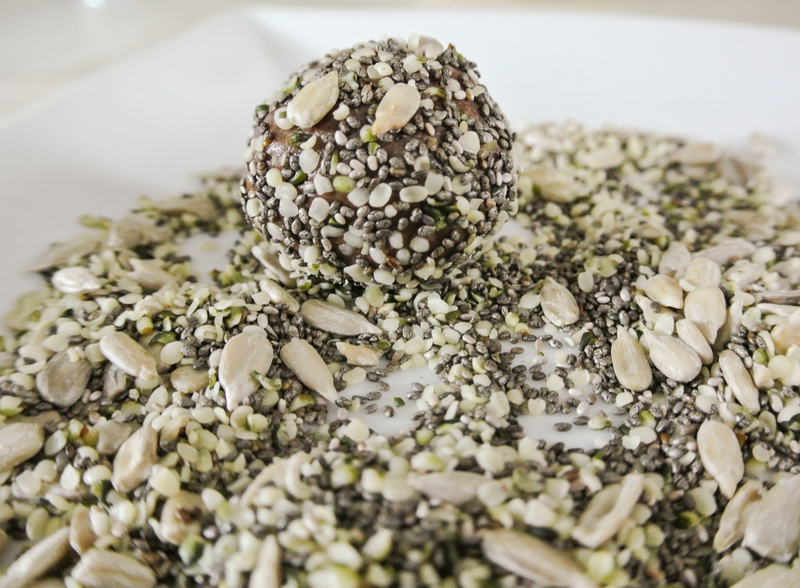 Her posts and my commitment to a minimally-processed, DIY plant-based lifestyle inspired me to create a power ball that my whole family will eat. Because they are dense, rich in flavor and consistency, and somewhat expensive to make, I only eat one or two a day when I have them in my fridge. 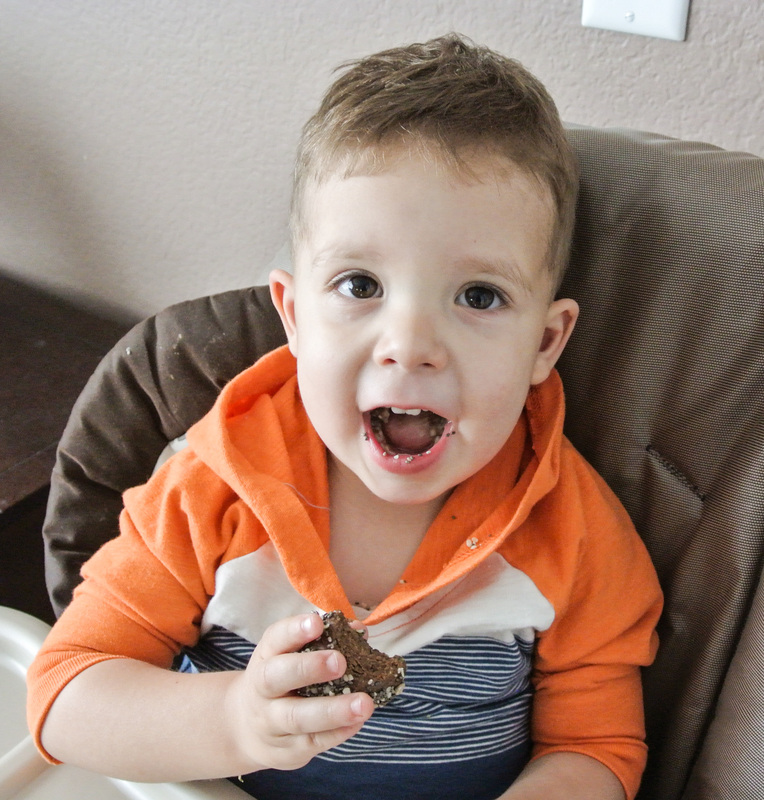 The base of any solid bar, ball, or bite is whole grains (often oats) and something sticky and gooey to hold the whole thing together. Creating the dough is quick and easy; rolling it into easy-to-grab-and-eat balls is a little more time-consuming, but yields you the perfect portion. Pop a power ball as a snack, eat one or two with fresh fruit for breakfast, or treat yourself to a super healthy mock dessert. You could even serve them at a party because they are just so darn cute…power lollipop anyone?! 🙂 In general, these remind me of truffles, without the animal fat, cholesterol, and excessive sugar. Enjoy! 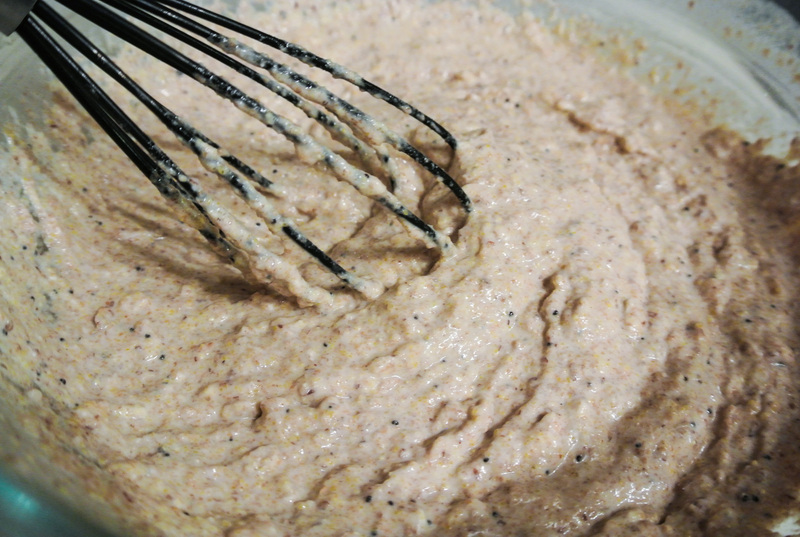 1 cup nut or seed butter (nuts/seeds only) –> I’m using peanut. 1 cup uncooked whole grains –> I’m using rolled oats. 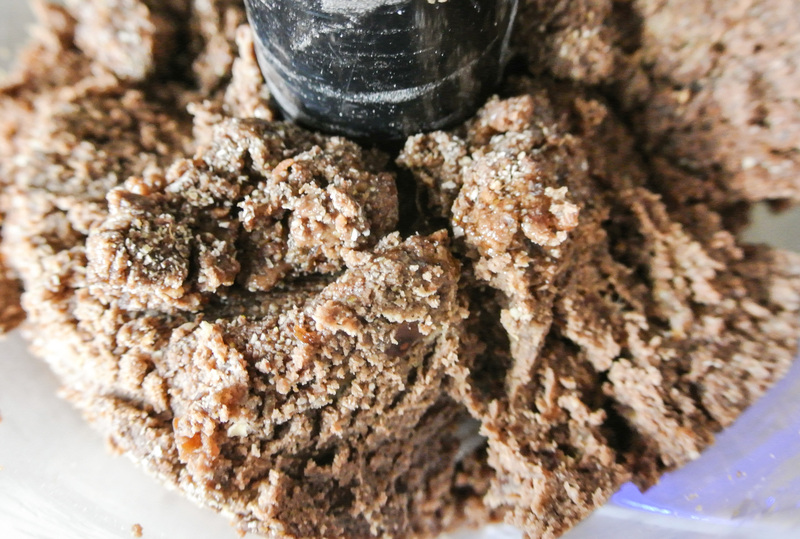 ½ cup unsweetened dried fruit (without added oil) –> I’m using 6 small pitted medjool dates. 2 tbsps natural liquid sweetener –> I’m using pure maple syrup. *Today, I’m using a combo of sunflower, chia, and hulled hemp. 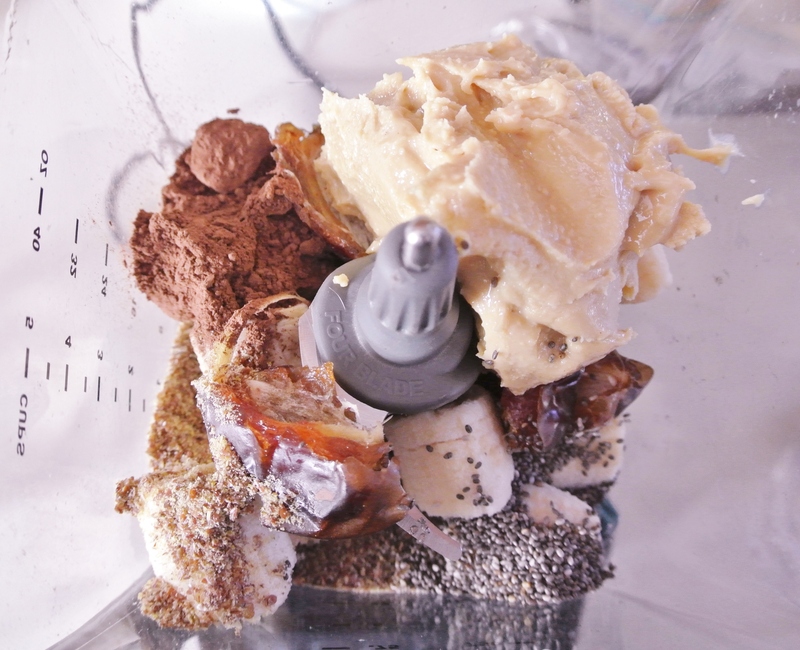 Turn your whole grains into flour using your food processor or blender. You could also use rolled oats as is. The texture of the balls will be different, but rolled oats are one of few grains soft enough to be palatable without becoming flour. 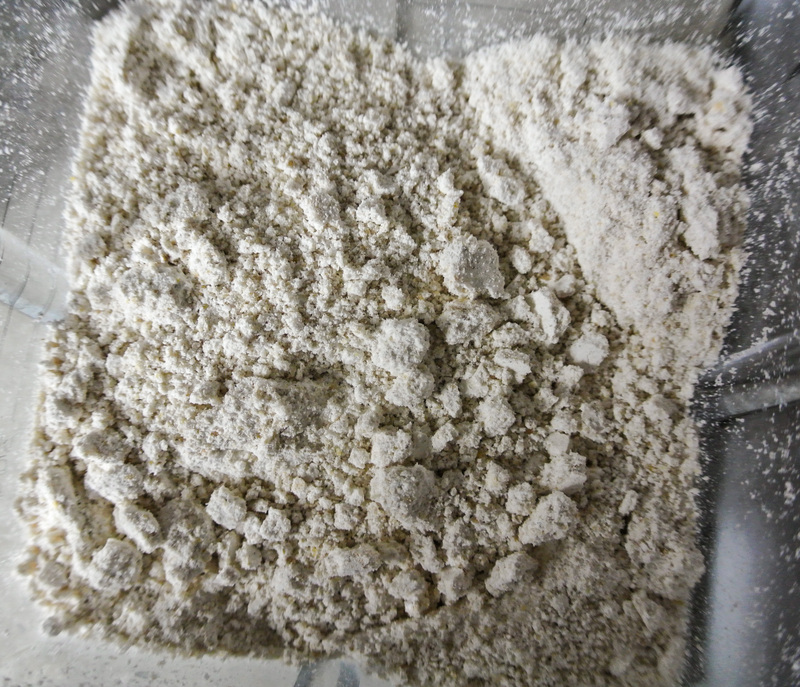 Combine the flour and your remaining ingredients in a food processor. Run until a thick, pliable dough forms. You will probably have to scrape down the sides of the processor with a spatula at least once. Shape the dough into 1-1 ½ inch balls and roll in garnish. I am excited to share with you that I completed my first Fresh Formula publication outside of my blog. 🙂 I completed an article for the Adjunct Faculty Association spring newsletter, The Connection, and was among only five adjuncts selected to write in the health and wellness section. Today, I thought I’d share that article with you. While many of these substitutions are more expensive, some are cheaper than their preservative-laden brethren; I believe that the health benefits are worth it either way. I adopted a plant-based lifestyle because I had high cholesterol, so eggs, for example, were one of the first items to cross off of my shopping list. 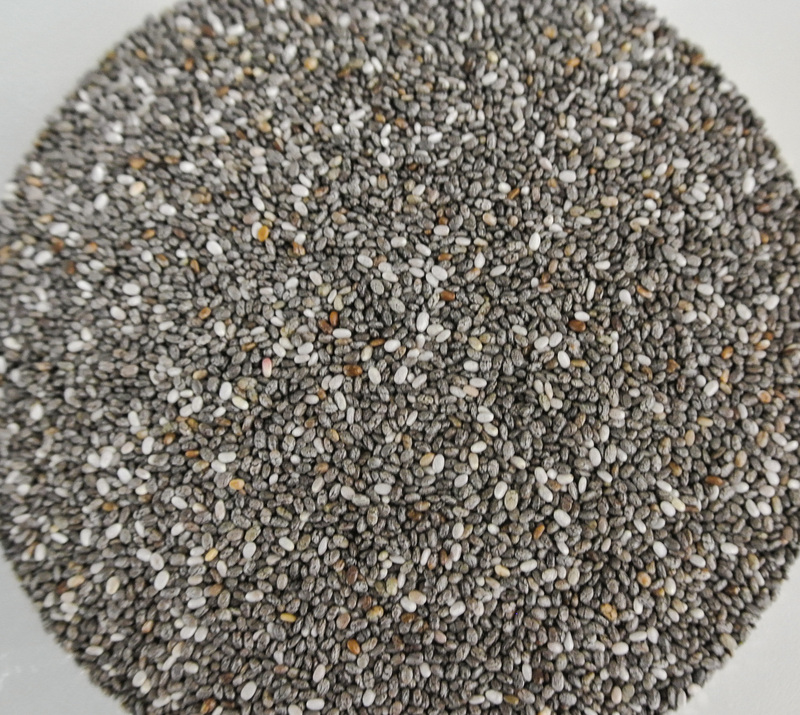 Chia seeds, by contrast, are cholesterol-free sources of omega-3 fatty acids, protein, and calcium. I have included my irresistible chocolate peanut butter banana smoothie recipe incorporating many of the aforementioned substitutions. It is so decadent, it can serve as dessert, but is a healthy option for a meal or snack, too! Combine all ingredients in a blender and puree until silky smooth. For more valuable health tips, information on plant-based living and eating, and tons of delicious recipes, visit thefreshformula.com and subscribe for regular updates. Cheers to good health!